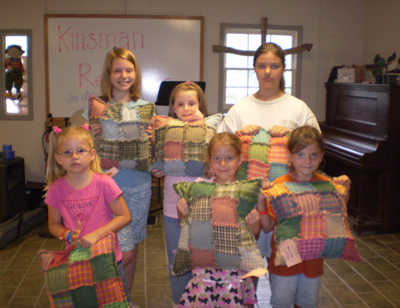 A summer camp, Camp Agape, used our ragged patchwork pillow project instructions as a model for their sewing craft. 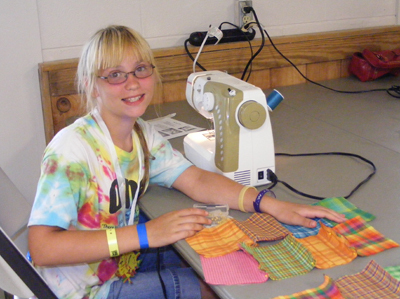 Young girls of all ages had a great experience learning to sew and making a really cute, useful product. 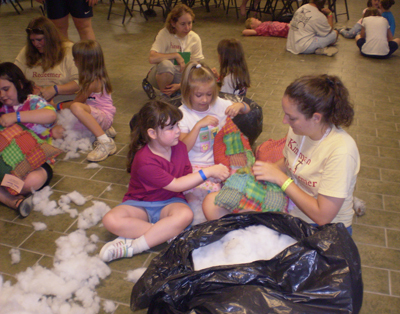 I wish I could've been there... it looks like fun!